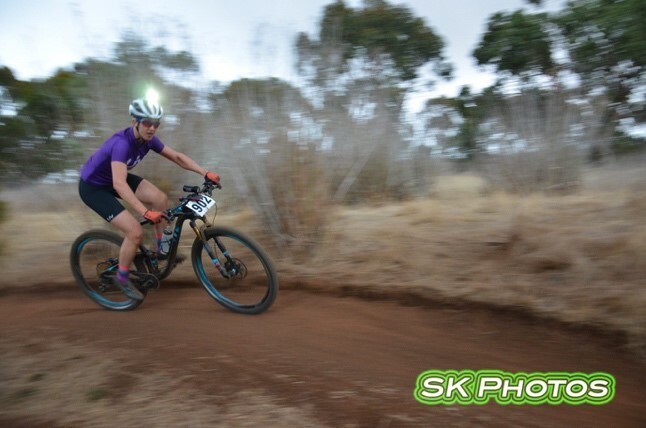 The 2013 Hammer Nutrition XC Enduro 4-hour series kicked off on Sunday with the first round held at Prospect Hill. The weather was a little damp in the lead up, but come race day it was a perfect sunny and still autumn day. The vibe from race start was great, with the sun shining and 102 riders ready to compete in their respective solo or duo categories. The 8km course consisted of the majority of the crowd-favourite singletrack sections, broken up with some fire road. The course was wet in areas, and the slippery roots were out to play. There was a great atmosphere on course, with the sounds of riders enjoying themselves and chatting, and an extremely friendly attitude from passing riders. Once the checkered flag began to wave, the prominent sound became the chatter of exhausted riders comparing race stories and sharing laughs. Make sure you keep June 23rd free for the next XC Enduro to be held at Craigburn Farm. Thanks to all of the riders for making it such a great race and to all of the sponsors for their support. Most of all, thank you to all of the volunteers who dedicated their time to ensure the course was prime, and that the event was run as smooth as they get! Full results can be found on the results page, which have been revised at the time of this post.